Salt Lake City has always been forward thinking in the way we do business. Almost from its inception, the City’s IT department, Information Management Services (IMS), has strived to find the sweet spot between the newest flashiest tech trends influencing the industry and the traditional, time proven policies and procedures. For many number of years, traditional waterfall project management was the norm. It was safe, predictable, and comfortable for project managers and teams. Scope creep, missed deadlines, and projects that failed to deliver the desired results were also all too common. The first few attempts at Agile were frustrating. Project managers were not properly trained in the Agile methodologies if they were trained at all and the project teams were resistant to the change. Scrum meetings devolved into product design meetings that sometimes lasted hours. A reset on the processes was needed. In 2013, that reset occurred when the department created a formal project management team rather than relying on business analysts and team leaders to provide that function. The first step was to provide formal training for staff on just what Agile is and isn’t and what it can and can’t do for an organization. At about the same time, a member of the City Council became interested in Agile through his day job and asked council staff to look into it as a way to manage their projects better as well. 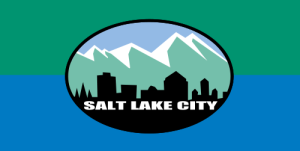 The first successful implementation of Agile in Salt Lake City was actually around the process of staff analysis of initiatives for the City Council. Each initiative was treated as a project and regular Scrums were held to track status and move the initiative forward. In IMS, a major software development effort was also underway. Now equipped with the understanding of how the process was going to work, Scrum meetings became a way to increase communication among team members and hold each other accountable for delays and setbacks. The end result is a high quality product that meets the business partner’s expectations in a shorter timeframe. Agile methodologies are now used for software development efforts, systems upgrades, systems implementations, and a variety of other projects. Lessons learned by Salt Lake City include a need for understanding and buy-in from the project team, a need for training of staff and business partners, and, if possible, an experienced practitioner to get the program rolling. While we’ve not been at this for a long time, the initial results are exciting. We are seeing higher productivity and satisfaction on the part of our business partners. We are seeing higher levels of communications between project teams, stakeholders, and business partners. Accountability on the part of all team members has increased and we are able to identify challenges and mitigate risks earlier in the process leading to reduced delivery times and a product that is a better fit to the business partner’s requirements.